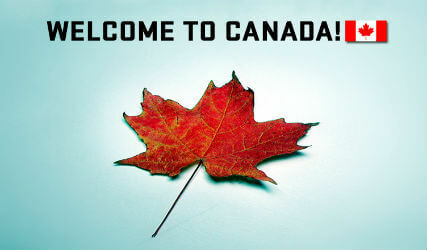 A program for a fast lane to select skilled workers to immigrate to Canada. The process for Express Entry Canada is completely electronic. It involves the federal government, provincial governments, and Canadian employers. The processing time for complete Express Entry applications is six months. Job offer is necessary but in some cases, your employer does not need an LMIA to support your job offer. With the growing need for a larger population, Immigration, Refugees and Citizenship Canada (IRCC) announced in 2015 that skilled workers would be able to use a ‘fast lane’ immigration program to enter Canada. This program is called Express Entry. It is incredibly fast, and the whole process should take from 6 to 12 months. See more details about who is eligible for Express Entry. IRCC releases specific dates for express entry draw and it is important to stay tuned to new announcements. Since 1995, Jane Katkova & Associates has been providing immigration services to many clients. We started a program called Express Entry Assist, which is intended to offer our clients easy and smooth entry to Express Entry Canada. We will help you figure out all requirements for Express Entry Canada, set up your profile and fill out the applications. We can also assist with translation. Once everything is completed, we will let you know of the processing time. Read About PNPs and how they impact immigration. Many of our clients retain our services to avoid grave mistakes in creating their Express Entry profiles. Start off by contacting us using the form below. We will get in touch with you as soon as we can. What happens if a country has special procedures for getting police certificates? Immigration, Refugees and Citizenship Canada is aware that for some countries there are special procedures in place to get police certificates. Can I ask to only be considered under one of the programs I choose under Express Entry? No. Under Express Entry, the system will find which programs you qualify for based on the answers you give in your profile. If you qualify for more than one program, we will help you decide which one to issue the invitation to apply under. What language test do I need for Express Entry In Canada? Do I need to include proof of funds for Express Entry? You will be asked to enter the amount of money you will have to help you settle in Canada in your Express Entry profile. This is to show that you can support yourself and any family who come with you to Canada and helps us assess which programs you may be eligible for. Do I need to include medical exams and police certificates for an online application? Yes, you must include all medical exam confirmation letters and police certificates for your application for permanent residence to be complete. What are the Express Entry Canada requirements to Federal Skilled Worker Program?